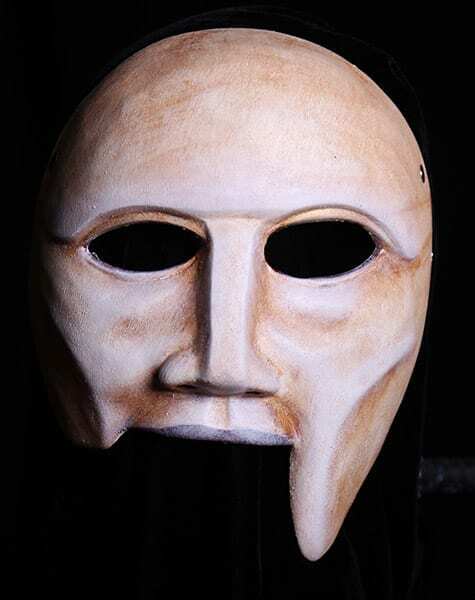 The Haemon Greek half mask is the mask of Creon’s youngest son. This is a mask that fears rather than one of courage. Haemon dies at his own hand in the failed attempt to kill his father. This mask for Tragedy is easily cared for and easily cleaned. The mask is held to the head with a fully adjustable strap. All Mask Designs and Webpages Copyright © 2004-2019 Theater-Masks.com/Jonathan Becker. All rights reserved.